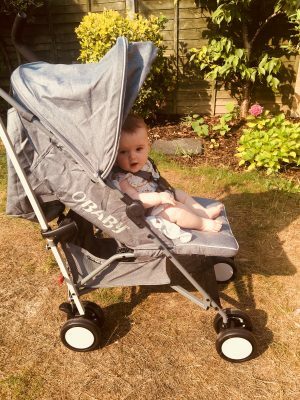 Recently we were lucky enough to be given the chance to the O Baby Zeal Stroller and I was so excited to give it a test drive! 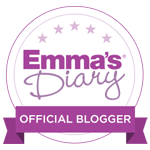 We hadn’t yet tried a stroller as we have been using a travel system, but the prospect of using something that was a bit easier, lightweight and quicker to put up definitely appealed to me. 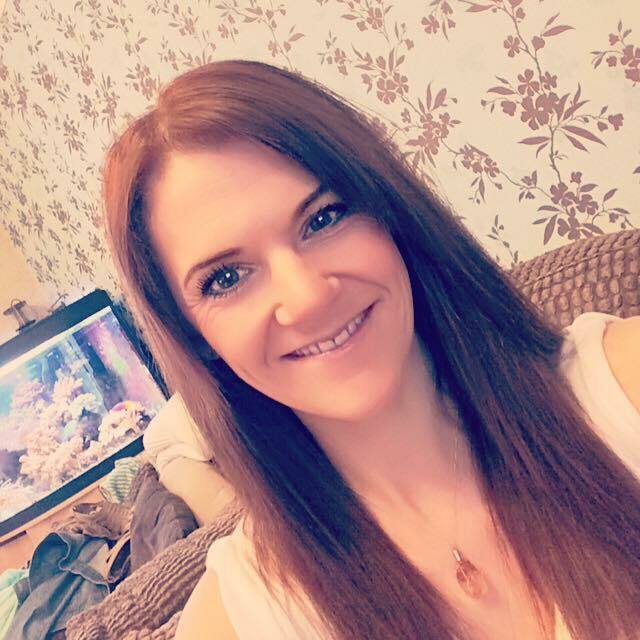 With two of the little ones to deal with when we go out now I was after something I could use quickly and efficiently and the O Baby Stroller was right up my street! The first selling point for me was that I could put Holly in it straight away; being only 6 months I wasn’t sure how supported she’d be sat in the stroller but she loved it! Being a nosy little baby, she was in her element sitting up and having a good look around. The durability of the Zeal was also very impressive. I found it easy to manoeuvre and I had no trouble getting up and down pavements which was handy as that can be a real battle with some strollers and buggys. In addition to this I found it very simple to put up and down and the fact that it came with illustrated instructions really helped with getting the hang of things. A two step closing mechanism has the stroller folded down in seconds and locked. It folded to a really manageable size, fitting in the boot of my car nicely and it even has a carry handle to make it easy to lift. There were several features to the stroller which really sold it to me. First of all it’s very simple to recline which is an essential with a baby the age of Holly who is regularly napping and there is also an adjustable leg rest for optimum comfort for baba! And being the worry wart Mama that I am, I loved the fact there is a window in the hood of the stroller so I can keep an eye on Holly as she snoozes. As well as that there was a cup holder (any Mum will agree that having somewhere to safely put that much needed coffee is a massive bonus), a reasonable sized basket underneath the seat and it even came with a matching changing bag! 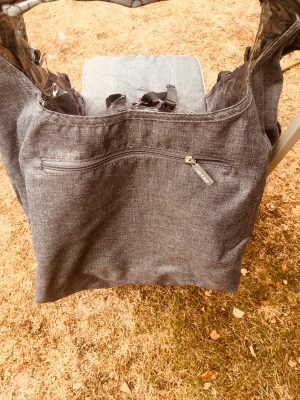 I also loved the very handy zipped pocket at the back of the stroller; if I just want to take Holly for a walk near our home I don’t always want to take a changing bag but you need somewhere to put your keys and phone so this was really helpful! 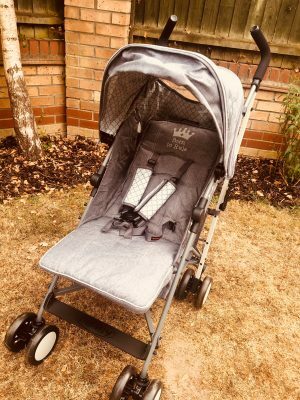 The range of accessories that come with the stroller make it great value and the fact that you can use it with a 6 month old and upwards is a fantastic selling point. In fact if you want you can purchase a carry cot so it is used from birth. 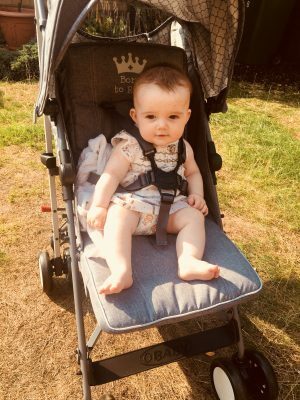 We tested the stroller in the middle of this fantastic heatwave we’ve been having and the fact the hood to the stroller is protected with UPF50+ was another huge advantage. The stroller comes complete with a beautiful matching footmuff too which would be perfect in those chilly winter months! Overall I think this stroller is a winner; its lightweight, compact, easy to use and comfortable for our little one. What more could you hope for in a buggy….. oh, a choice of designs! 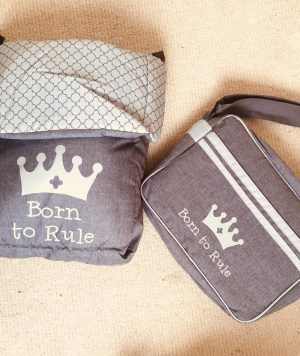 Yep, O Baby have thought of everything and have a whole range of designs which you can check out here. I would highly recommend this stroller to anyone looking for something light weight and that makes life a bit easier, especially when you also have a toddler in tow! So if this is the sort of thing you’re looking for then head over to the O Baby website. Disclaimer: This review is a collaboration with O Baby. As always all words and opinions are my own.